We’ve seen airbnb offer some pretty outrageous opportunities to enjoy their hosting services. Here’s another to add to the list. 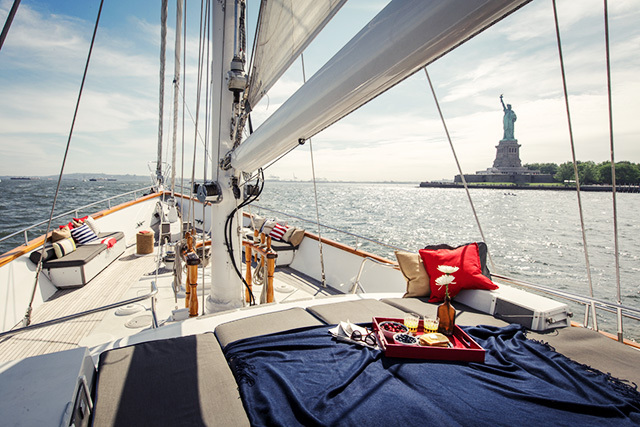 Airbnb has kicked off a new competition that offers the winner a chance to enjoy an overnight stay on the Arabella yacht that is currently floating between New York’s Ellis Island and Liberty Island. The contest is in honor of Immigrant Heritage Month and will offer one winner and their guest to enjoy a themed meal with a few surprise V.IP. guests in Ellis Island’s Great Hall, a private tour of the grounds and museum along with a late-night cruise aboard the Arabella yacht. The winner will also enjoy breakfast on the yacht the following morning. Like other special offerings from airbnb in the past, this contest is sure to garner a lot of interest. Learn more about this exciting opportunity here.